When people come to an effective altruism event for the first time, the conversation often turns to projects they’re pursuing or charities they donate to. They often have a sense of nervousness around this, a feeling that the harsh light of cost-effectiveness is about to be turned on everything they do. To be fair, this is a reasonable thing to be apprehensive about, because many youngish people in EA do in fact have this idea that everything in life should be governed by cost-effectiveness. I've been there. Cost-effectiveness analysis is a very useful tool. I wish more people and institutions applied it to more problems. But like any tool, this tool will not be applicable to all parts of your life. Not everything you do is in the “effectiveness” bucket. I don't even know what that would look like. I have lots of goals. I have a goal of improving the world. I have a goal of enjoying time with my children. I have a goal of being a good spouse. I have a goal of feeling connected in my friendships and community. Those are all fine goals, but they’re not the same. I have some rough plan for allocating time and money between them: Sunday morning is for making pancakes for my kids. Monday morning is for work. It doesn’t make sense to mix these activities, to spend time with my kids in a way that contributes to my work or to do my job in a way that my kids enjoy. If I donate to my friend’s fundraiser for her sick uncle, I’m pursuing a goal. But it’s the goal of “support my friend and our friendship,” not my goal of “make the world as good as possible.” When I make a decision, it’s better if I’m clear about which goal I’m pursuing. I don’t have to beat myself up about this money not being used for optimizing the world — that was never the point of that donation. That money is coming from my "personal satisfaction" budget, along with getting coffee with my friend. I have another pot of money set aside for donating as effectively as I can. When I'm deciding what to do with that money, I turn on that bright light of cost-effectiveness and try make as much progress as I can on the world’s problems. That involves looking at the research on different interventions and choosing what I think will do the most to bring humanity forward in our struggle against pointless suffering, illness, and death. The best cause I can find usually ends up being one that I didn’t previously have any personal connection to, and that doesn’t nicely connect with my personal life. And that’s fine, because personal meaning-making is not my goal here. I can look for personal meaning in the decision afterward, but that's not what drives the decision. When you make a decision, be clear with yourself about which goals you’re pursuing. You don’t have to argue that your choice is the best way of improving the world if that isn’t actually the goal. It’s fine to support your local arts organization because their work gives you joy, because you want to be active in your community, or because they helped you and you want to reciprocate. If you also have a goal of improving the world as much as you can, decide how much time and money you want to allocate to that goal, and try to use that as effectively as you can. People interested in effective altruism come from many different backgrounds. I know people whose families expected them to become lawyers or businesspeople, and others whose families would be appalled if they went into something so "money-grubbing." This post is primarily aimed at those of us who grew up in cultures that emphasized a certain style of simplicity. In some cases I think it can be an advantage, for example, because it's easier to live below our means. But in other cases I think it leads us into bad decisions that prioritize our personal purity above the well-being of others. I'll start with an illustration from history. 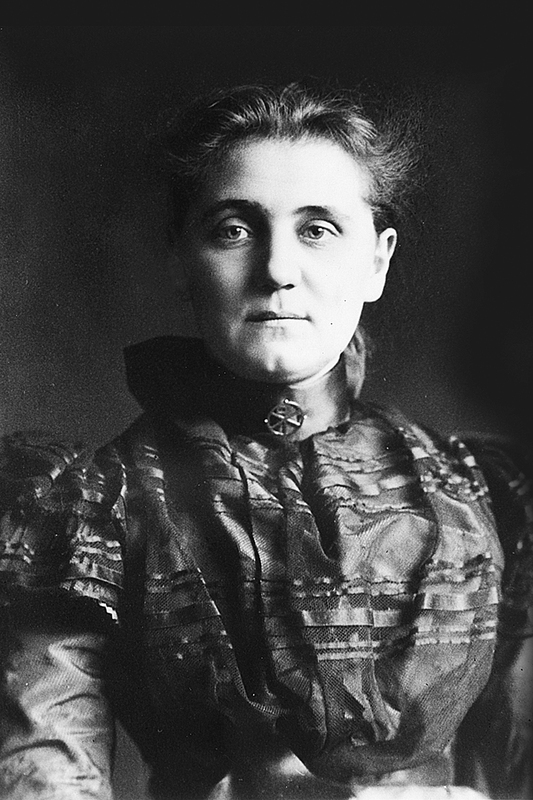 Jane Addams, the founder of social work, spent her life striving to improve the conditions of poor immigrants and particularly working-class women in Chicago. In 1896, she traveled to Russia to meet with author Leo Tolstoy, whose ideas on solidarity with laborers had impressed her. Both Addams and Tolstoy struggled with how to deal with their privileged backgrounds; Tolstoy was a count and Addams had inherited a fortune as a young woman. Tolstoy, who was living on his family's estate dressing like a peasant and participating in the farm work, began the meeting by criticizing Addams' stylish dress. He urged her to follow him in taking up manual labor rather than spending all her time on administration. But she grew frustrated with the inefficiency of spending part of her day as baker rather than director. “The half dozen people invariably waiting to see me after breakfast, the piles of letters to be opened and answered, the demand of actual and pressing human wants—were these all to be pushed aside and asked to wait while I saved my soul by two hours’ work at baking bread?” (Twenty Years at Hull House, p. 197) She decided that she could do more for her neighbors by continuing her administrative work than by sharing in their manual labor. Tracy Kidder's book about doctor and humanitarian Paul Farmer cites him talking with other Partners in Health staff about "the goofiness of radicals thinking they have to dress in Guatemalan peasant clothes. The poor don't want you to look like them. They want you to dress in a suit and go get them food and water." I have a friend who gives away much of his income but realized he needed to spend money on a nice suit to meet with people who care about that sort of thing and influence their giving. "Saving" money by not buying a suit would actually have been a loss for the people he intends to help. Some of us come from religious traditions that emphasize voluntary simplicity and solidarity with the poor. I'm interested in the ways that this can help or hinder us in actually helping others. I've enjoyed reading some of the thoughts of a Franciscan friar on voluntary poverty. The Franciscan order was founded largely in response to the opulent lifestyle of the 13th-century Italian upper classes, and material simplicity has been an important part of their tradition ever since. But the writer, Brother Casey Cole, questions whether friars should take solidarity so far as to shoulder the difficulties that come with being involuntarily poor, like buying low-quality appliances that break because you can't afford ones that last longer. Is your life marked by simplicity? Are you free from the burden of unnecessary possessions? Do you refuse to let the prevailing culture and media dictate your needs and values? I love this approach to simplicity as freedom. Other than my Apartment Therapy habit, I think Jeff and I have been much happier by not letting media dictate our desires too much. Particularly as a parent, I'm wary of the ways we can be led into "needing" things that don't actually improve our quality of life. But I've also seen the idea of material simplicity extended farther than I think makes sense. At one point Quakers were going around policing the width of each other's hat brims lest somebody have one that was not "plain" enough. And today I think people sometimes slip into policing material possessions, particularly technology, rather than looking at whether these possessions actually improve our lives. I've seen articles explaining why so many refugees carry smart phones—far from being a luxury, they are a vital source of information and connection to loved ones. Cell phone ownership even among the very poor in Africa has made it possible for them to do everything from transferring money without access to a brick-and-mortar bank, to tracking cattle gestation periods, to verifying that anti-malarial drugs are real and not counterfeit. The way that technology enriches lives from Syria to San Francisco is something I'd like to embrace, not scorn. John Wesley, founder of the Methodist church, gave his sermon "The Use of Money" many times throughout the 18th century. In it, he advises followers not to reject money, but to use it wisely. "The fault does not lie in the money, but in them that use it. It may be used ill: and what may not? But it may likewise be used well. . . . By it we may supply. . . a defence for the oppressed, a means of health to the sick, of ease to them that are in pain." Wesley urges followers to "gain all you can" without sacrificing their health or engaging in immoral action, "save all you can" by living simply, and then "give all you can." The sermon is the first known proposal of "earning to give." But those of us who came from traditions emphasizing simplicity (whether via religion or general hippie culture) were often taught to distrust money. "Money is the root of all evil," we heard, rather than the full quotation "The love of money is the root of all evil." My mother spoke proudly of the low-paying professions her family tended toward: "Farmers, ministers, teachers, musicians—if it pays badly, we've done it!" When I started to consider earning to give (earning more in order to donate more), I kept noticing a reaction of disgust to the idea of having a high-paid job. I couldn't get away from my vision of "rich people" as bad and greedy people. The idea of being associated with them, for example by going into law and then donating most of my earnings, turned my stomach. That attitude isn't helpful, and I don't want to pass it on to my children. I think some of this comes from embarrassment about the privilege I have. I grew up in a rich country with parents who could give me everything I needed. I have a college education, I'm healthy, and I'm able to do many things I set my mind to. I got lucky in a lot of ways, and I'm sad that not everyone has these things. But squandering this privilege by pretending I don't have it would not help anyone except me. It might make me feel better, but me feeling better about my privilege is not the point. I could be a good hippie and spend my days volunteering at the local library and my evenings making pottery in my basement. No one could accuse me of making things worse, but I would hardly be making things better for people in extreme need. I think we should be less like the ascetic Tolstoy barefoot in the woods, and more like Jane Addams using her wealth, connections, education, and skills for the benefit of others. If we want to make a better and fairer world for everyone, we should use every tool we have—including money—to do so. I think effective altruism often runs into questions about self-care and boundaries, and might have a few things to learn from social work. For people in helping professions (like nurses, therapists, and clergy), training programs often warn against burnout and "compassion fatigue." To prevent this, training emphasizes self-care. Self-care might include exercise, sleep, spending time with loved ones, spiritual practice, hobbies, and (at least among my coworkers) the latest episode of "Scandal." My workplace asks every prospective hire about self-care, because we want someone who has a plan for not burning out. As a helping professional, you maintain boundaries to protect both yourself (you do not tell clients where you live) and clients (you do not burden them with your personal problems). And often boundaries are something you maintain to keep yourself sane. One early lesson for me, when I was an intern at a psychiatric hospital, came while sitting and talking with a young patient before I left for the evening. When it was time to catch my bus home, I told him I had to leave. "You get to go home," he said sadly, "but I don't get to go home." I felt awful for him, and later I asked my supervisor if I should have kept him company a little longer. "No," my supervisor said, "Go home when it's time to go home. There will always be someone who wants you to stay. You can't come in here and do a good job if you're worn out from the day before." To me, that's an example of what one author on burnout calls "boundaried generosity." I will give my best up until this point, and then I will stop. That's what makes high-intensity, compassionate work sustainable. The same principles are applicable to helping work that isn't face-to-face. I've noticed that some of the highest-achieving people I know in effective altruism take sleep pretty seriously and don't skimp in that area. They've learned it's not worth it. They also seem to genuinely enjoy their time off. Unlike Susan Wolf's specter of the "moral saint," humorless and single-minded, these people know how to have fun. But younger people in particular seem to struggle with the balance of self-care and altruism. Often after I speak to a student group, someone will tell me they wonder if they're wrong to spend money traveling to visit far-away friends or buying things for the mother that scrimped to send them to college. It's hard to think of a better recipe for burnout than distancing yourself from friends and family! No, I don't recommend cutting out this kind of thing if you want your passion for helping others to last more than a few years. For me, this was an important reason to make a budget rather than asking "Should I donate this money instead?" every time I was in a checkout line. It was the equivalent of going to work with no plan about when to go home—should I see one more client this afternoon? Three? Five? Knowing I'm leaving work after 8 hours lets me be whole-hearted in my work during that time. In the same way, having a budget allows me to be whole-hearted both in what I give (because I know that money is only for giving) and in what I spend (because I know that money is only for me and my family). It is okay to take care of yourself. In fact, it's a really bad idea not to.